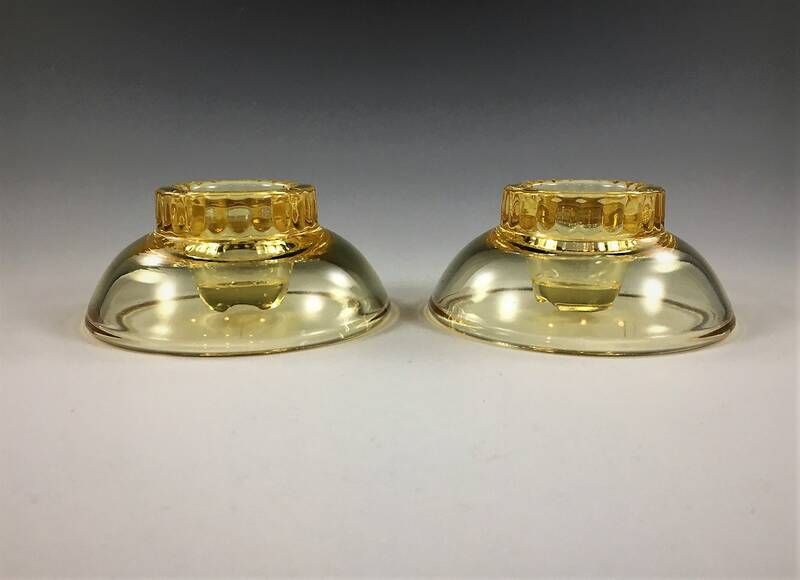 Featured is a great pair of vintage candlestick holders from Cambridge Glass (No. 1715). 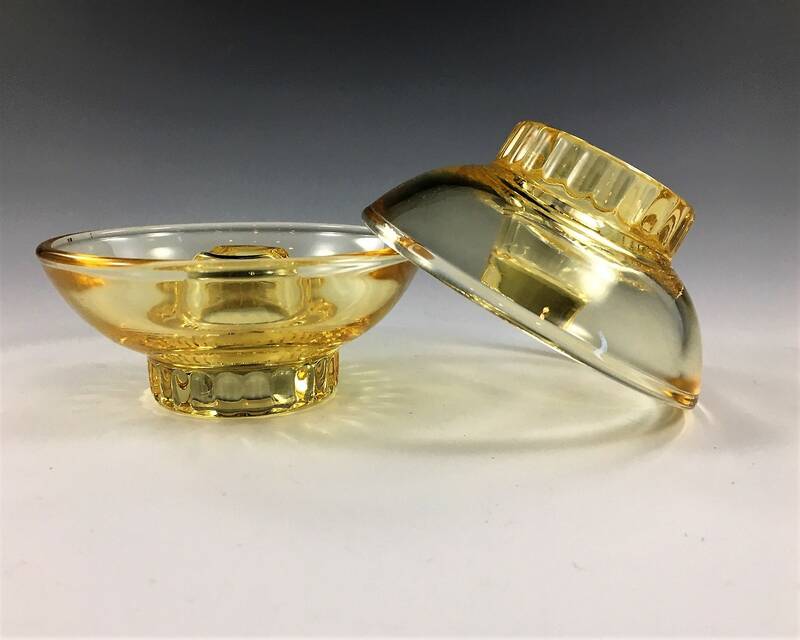 These beautiful pieces can also be reversed and used as an ashtray. 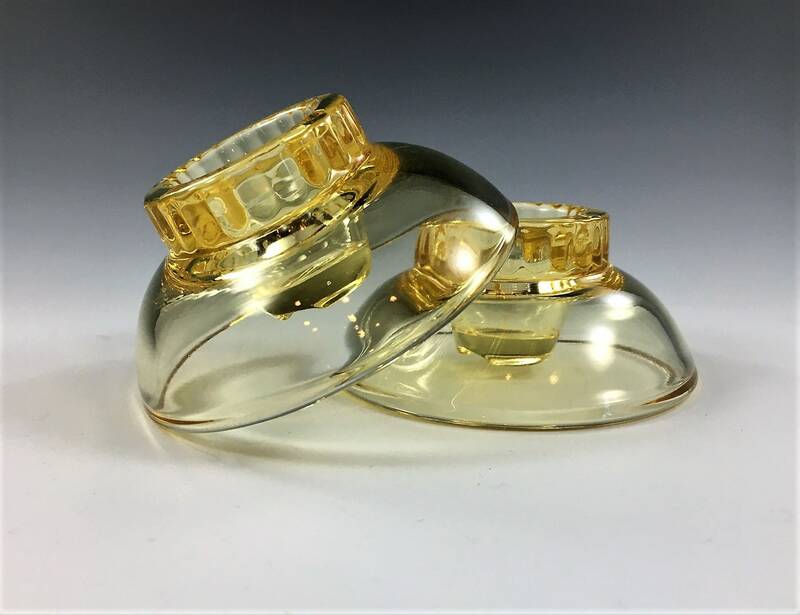 Each is about 1 1/2 inches tall with a top diameter of 1 3/4 inches and a bottom diameter of 3 3/8 inches. Cambridge called this wonderful color Mandarin Gold, and they produced them from 1953-54. Both pieces are in excellent condition, free from any chips or cracks. Both pieces offered for one low price.